Emotional reactions ranging from fear to annoyance. Damage sustained to their home and property. Increased risk of exposure to disease. When presenting at training meetings, one question I like to ask is, “Is a raccoon in the chimney a problem?” Most attendees answer with a resounding yes — but the correct answer is no. That’s because the raccoon in the chimney is just a symptom of the real problem, which is the lack of a chimney cap on the chimney. 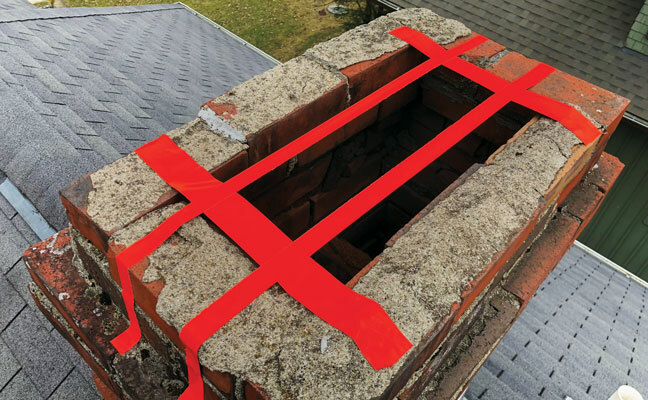 If a chimney cap were properly in place, raccoons wouldn’t have been able to gain entry to become an issue. Squirrels or rats entering at the gutter line gap? There’s no drip edge. Birds entering an exhaust vent? There’s no vent cover. Raccoons entering a louvered vent? There’s no custom screening. Have you seen the wildlife invader? What time of the day and/or night? Once on-site, start your visual inspection immediately. As I walk to the door to introduce myself, I look for wildlife entry points as well as areas that need to be addressed to prevent future entry. You will be amazed how often homeowners miss obvious entry points. I also experience greater client confidence for quickly identifying the problem. Being able to distinguish droppings by species, gnaw marks and the size of the entry point allows me to identify the correct wildlife species that is entering the structure. 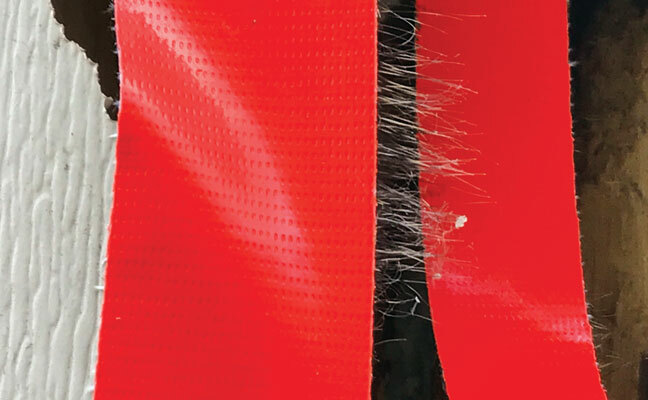 I highly recommend the Wildlife Damage Inspection Handbook by PMP columnist Dr. Stephen Vantassel to brush up on your identification and inspection skills for this pest segment. Editor’s note: You can find Wildlife Damage Inspection Handbook at our bookstore. The goal is not to go for a body count. You should target only the wildlife entering the structure, while avoiding random wildlife wandering nearby. You can achieve this by using traps — with positive settings, correct placement and appropriate baits — and other methods. Positive settings mean placing the trap directly over the wildlife entry point. You can achieve this with nose cones, flush door type traps, screening to funnel wildlife into the trap and — where legal and acceptable due to public perception — body grip traps placed over an entry point. Thankfully, a number of manufacturers now produce traps and removal systems. Positive settings provide the greatest chance of targeting only the offending wildlife; however, sometimes site of entry prohibits this practice. In such cases, placing a trap as close as possible to the entry point is the next best option. For example, if a raccoon is entering at the gutter line of a home, a trap placed on the roof has a better chance of targeting just that raccoon than a trap placed on the ground that may capture any animal passing by. The use of proper baits also is important. 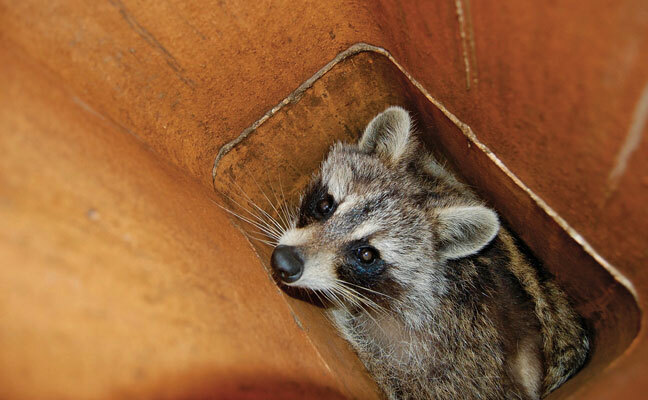 While sardines and cat food are commonly used to target raccoons, the odors associated with them can lead to “calling” wildlife to the site — as well as the capture of domestic cats. You must make sure you remove the wildlife you captured. Skipping this step can result in an incomplete job, an animal trapped inside when repairs are performed, or other issues that can cause your client problems. A positive-set trap over the entry hole. A wildlife movement indicator. This can be as simple as a grid pattern of duct tape placed over an entry point. Monitor the area for three to six days, depending on weather conditions. If no disturbance occurs, you can be fairly confident that removal is complete and the account can be closed or moved to the repair stage. The repair process addresses entry points, stops future entry and fixes damage. 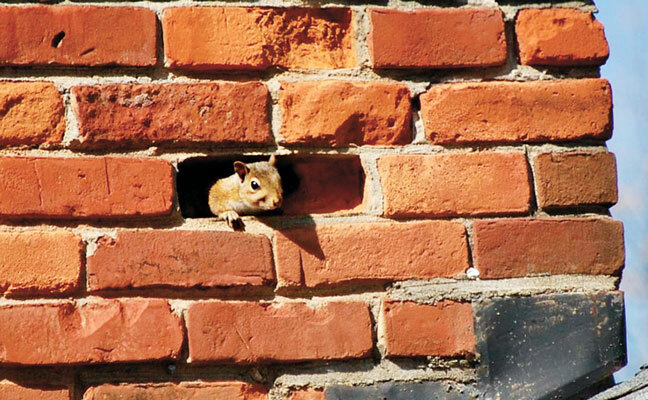 Manufacturers have met the needs of pest management professionals (PMPs) who offer wildlife control services, and now offer products they can install. In many cases, PMPs no longer have to fabricate homemade solutions for entry points. Some entry point problems cannot be solved with pre-made products, however. 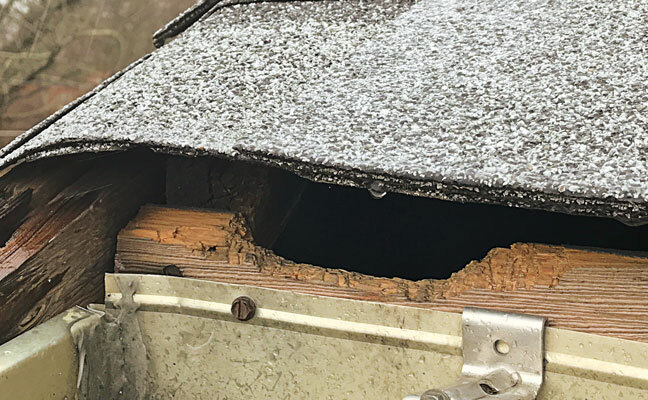 You may need to create custom screening for gable vents, or size and bend sheet metal to block entry holes on gutter lines and soffit returns. You may need to be able to work with basic hand tools, as well as a few specialized tools. Training is available at the Wildlife Expo presented by the National Wildlife Control Operators Association (NWCOA) and the National Pest Management Association (NPMA). 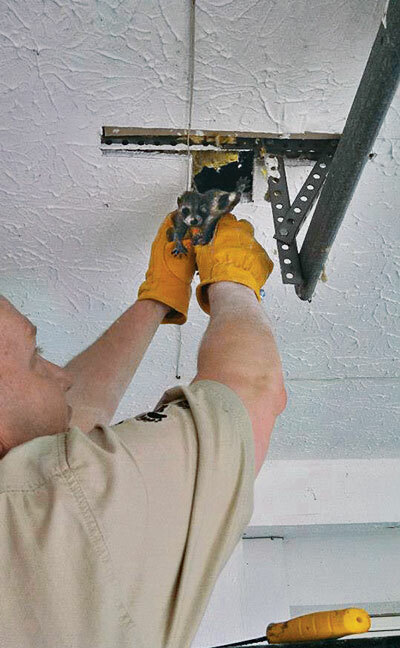 There, you can learn about all aspects of wildlife control, including how to make repairs and conduct sales, as well as proper inspection techniques. Many training sessions allow you to earn educational credit hours and certification. Wildlife control is almost always a solutions issue. Understanding that, and getting that idea across to your clients in both verbal and written formats, is the key to success and profitability. Being able to identify common wildlife entry points and provide solutions for current and future entry point problems allow you to provide peace of mind to your clients. Unfortunately, there is no magic wand for wildlife control. In most cases, it requires multiple trips to the account; attic and roof work; species knowledge; special tools; and a vehicle set-up different from general pest control. Being able to work in confined spaces with no fear of heights and ladders, and in proximity to wildlife — while also being able to connect with clients — requires a special individual. But the rewards can be great. Power and static roof vents. Gutter line gaps, especially where the roof decking meets the fascia board. Soffit returns, where the soffit contacts the roof. Bathroom or kitchen exhaust vents. Each of these areas offer repair — and revenue — potential. HOLT is co-owner of Advantage Wildlife Removal, New Richmond, Ohio. He is also president of the National Wildlife Control Operators Association (NWCOA.com). Contact him at pmpeditor@northcoastmedia.net.